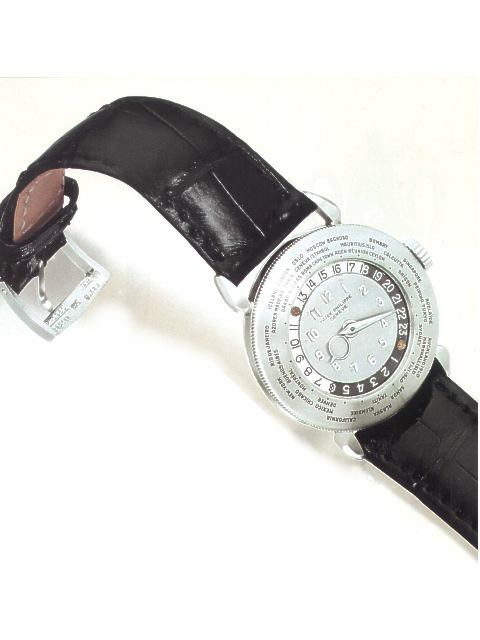 The Patek Philippe world time was once the most expensive watch in the world. 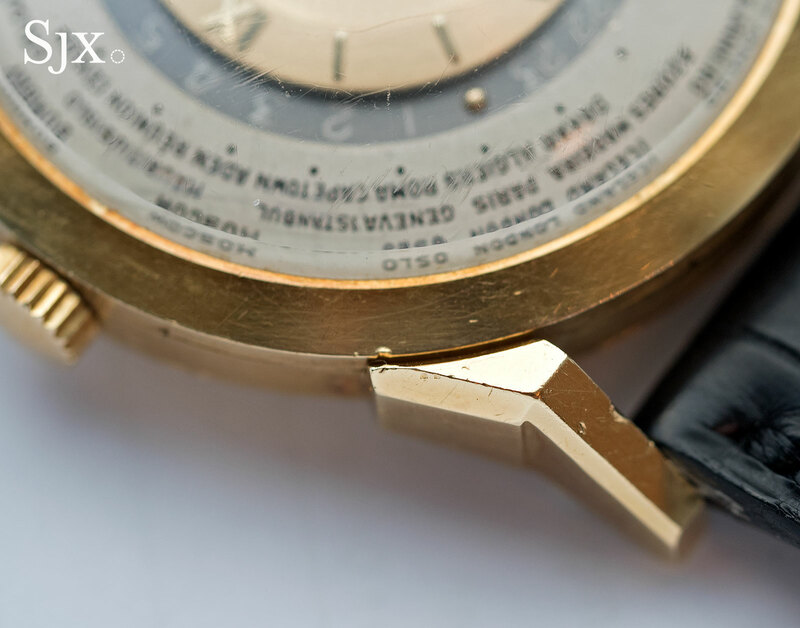 Before extra-large, steel chronographs were all the rage, the first proper million dollar Patek Philippe reference was arguably the Louis Cottier world time – the refs. 1415 and 2523 fitted with cloisonné dials – being the models that consistently and regularly achieved seven figure prices at auctions, which were mostly Antiquorum sales presided over by Osvaldo Patrizzi in those days. 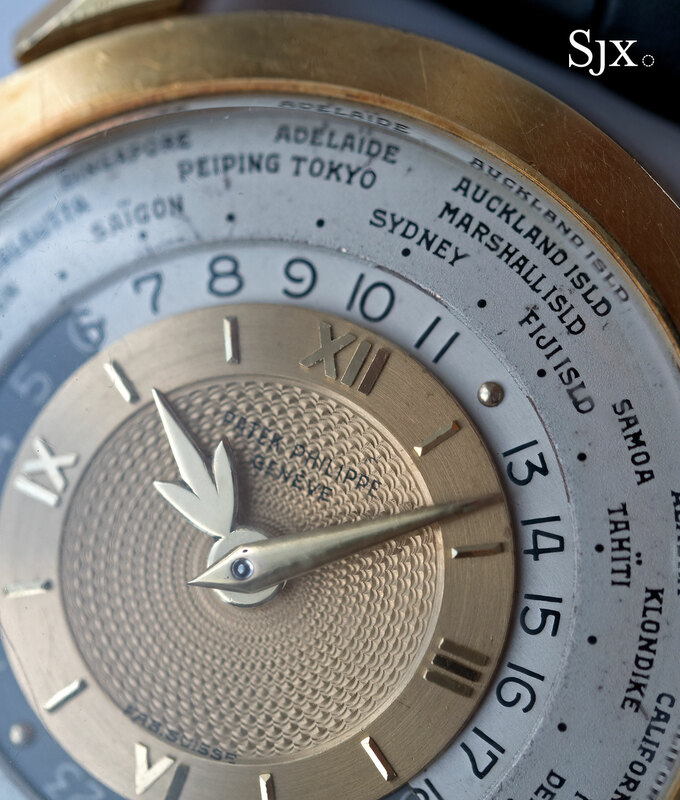 Starting in the late 1990s, the vintage cloisonné dial world time – usually a double-crown ref. 2523 selling in Geneva – sailed past a million francs and stayed between that and SFr2.0m until the late 2000s. The high watermark came in April 2002 when a buyer, a noted East Asian industrialist according to industry lore, paid a mind boggling SFr6.6m for a ref. 1415 HU in platinum, about US$4m at the time and a record that probably won’t be broken for a generation or two. Coincidentally, the surge in prices for the vintage world time dovetailed neatly with the artfully-timed launch of the modern day equivalent, the ref. 5110, in the year 2000. And since then the contemporary world time has become a mainstay of the Patek Philippe line-up: the basic model has undergone two facelifts, and the complication has been combined with a chronograph, minute repeater, as well as moon phase. In the same period, an early ref. 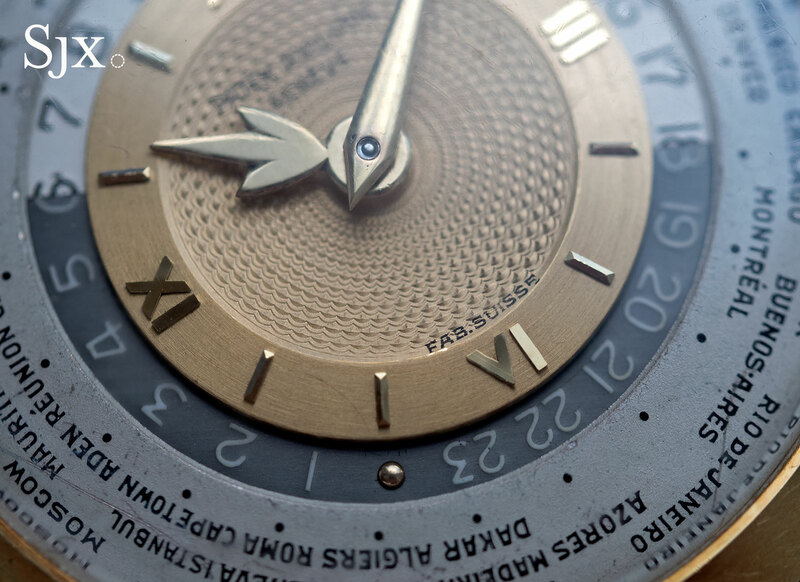 2499 (meaning first or second series) in pink gold cost about the same as a cloisonné dial world time. Over a decade on, the 2499 has doubled in value, the steel 1518 has quadrupled, and various other watches have gone on to rack up various other records. The vintage world times, on the other hand, have not enjoyed much buzz or breathless coverage and consequently have only inched up modestly in value, or not at all. In the peculiar world of high-end vintage watches that might make a world time a reasonable proposition relative to everything else (like a US$17m Rolex Daytona or an US$11m Patek Philipp 1518), perhaps even a good buy. With the total number of world times of all references standing at several dozen – the world time mechanisms were reputedly assembled by Cottier himself – as opposed to 281 of the ref. 1518 and 349 for the ref. 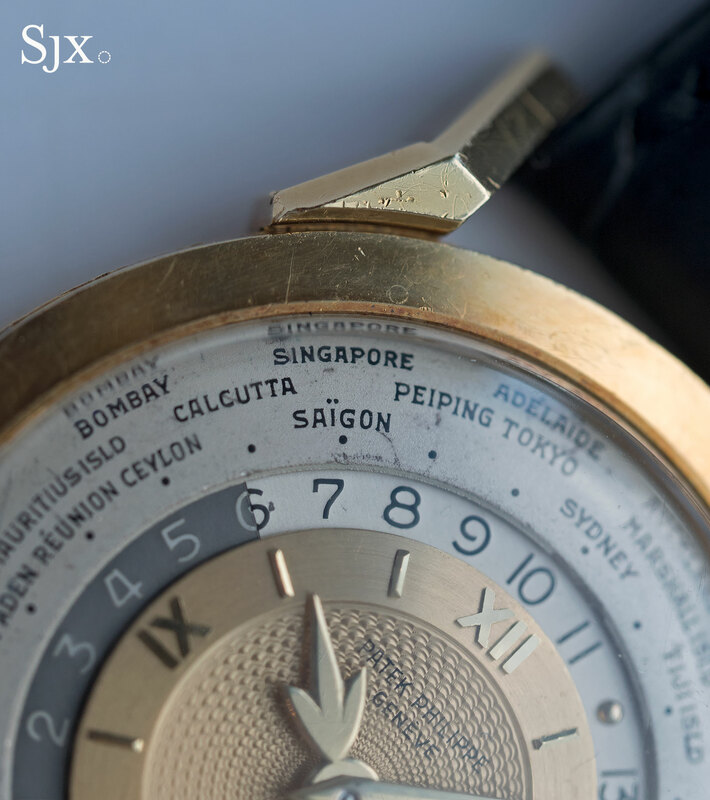 2499, the world time is a rare watch, but not suited to the current fads in the vintage watch market. And the average world time buyer is typically of a different generation from the youngish collectors who desire Patek Philippe chronographs or Rolex Paul Newmans. 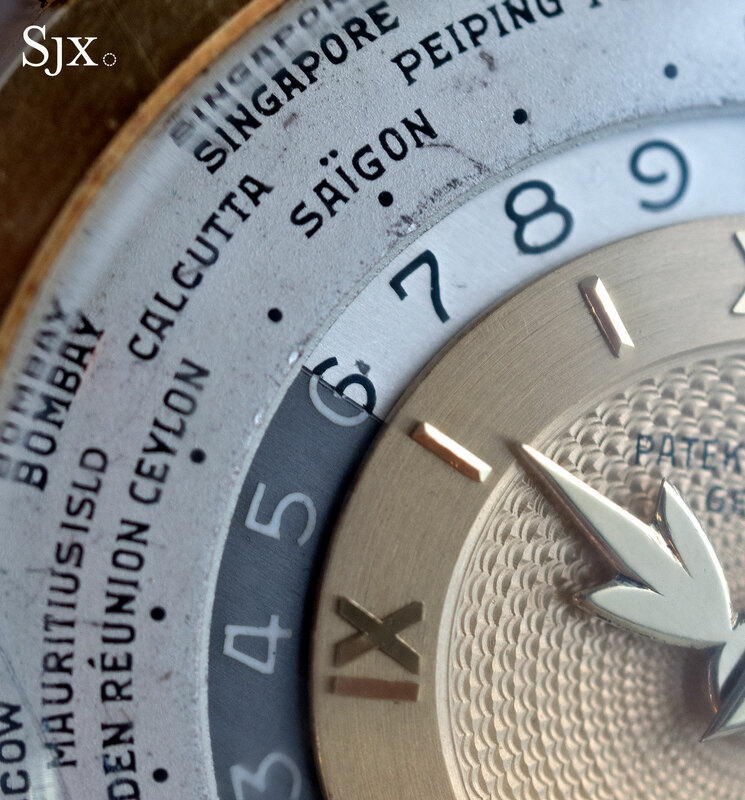 Phillips’ upcoming Hong Kong watch auction includes a ref. 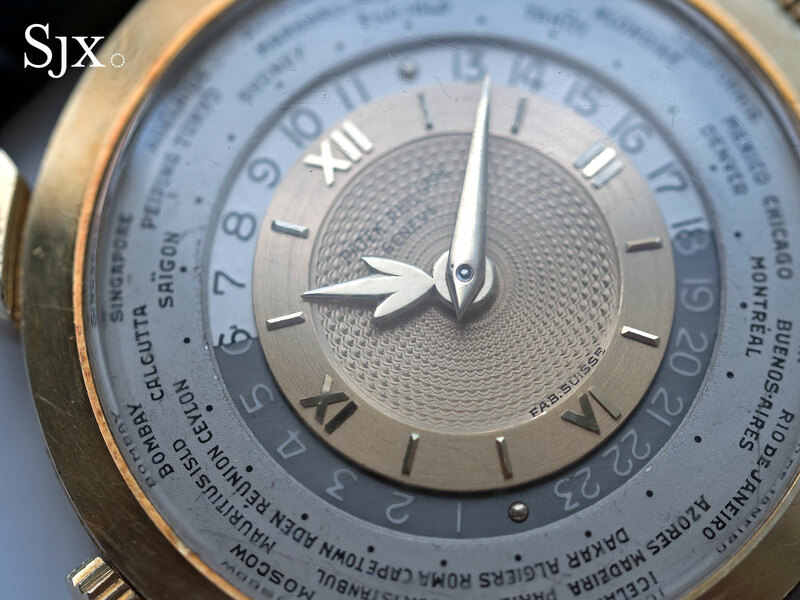 2523, one of just three known with a gold guilloche dial. The very same watch was first sold in May 2012 at Antiquorum Geneva for SFr1.19m, having been consigned by the family of the original owner. The 2012 result was equivalent to about US$1.3m at the prevailing exchange rate then. Now the estimate is HK$10m to HK$20m, or US$1.25m to US$2.5m, and the final price is likely to stay well within the estimate. For a Patek Philippe completed wristwatch with perhaps two dozen in existence that seems like a reasonable ask. 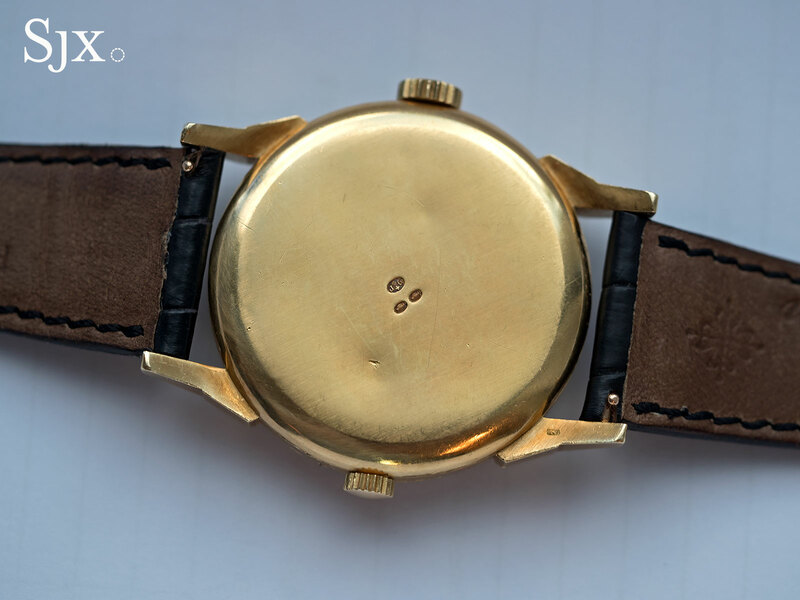 Produced in 1953, the watch is made even more unusual thanks to three hallmarks on the back: two French import marks for precious metal, and the third being the logo of Parisian jeweller Jean Guillermin. 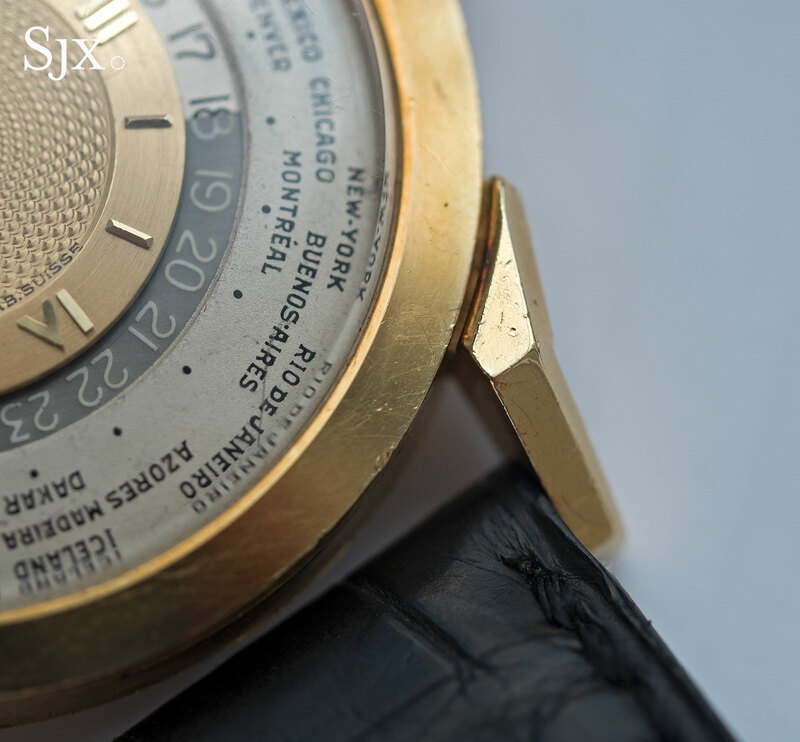 Only two other 2523s are known with retailer signatures – “Gobbi Milano” and “Tiffany & Co.” – albeit on the dials rather than the back. The ref. 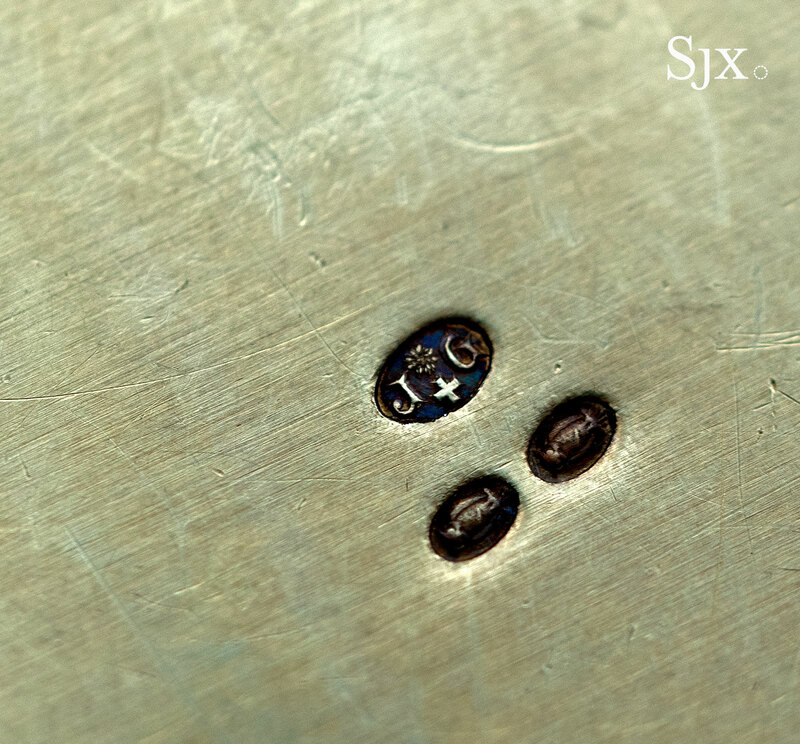 2523 is also in strikingly original condition, bearing all the nicks, dings and scratches – even the grime in the hallmarks – accumulated over the last six decades. 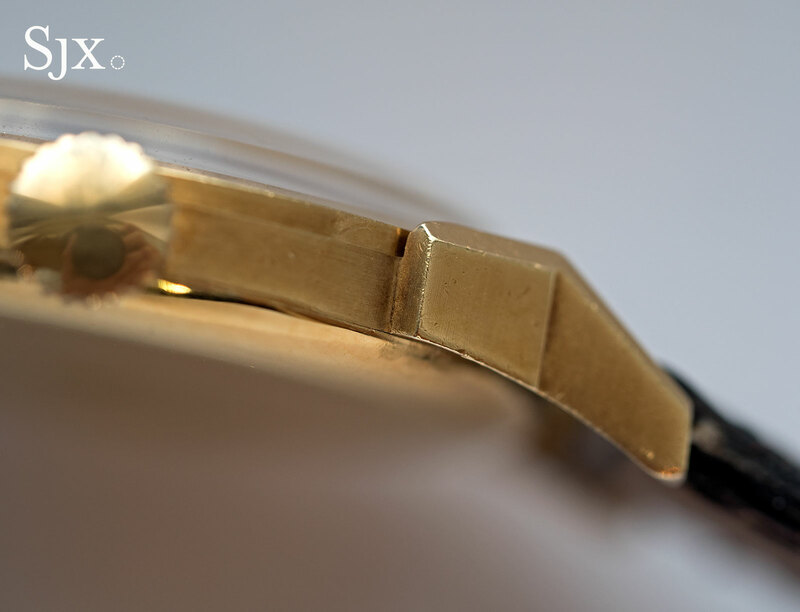 According to the catalogue description when it was first sold in 2012, the watch was sent to Patek Philippe for servicing the year before, with express instructions that the case remained untouched. The ref. 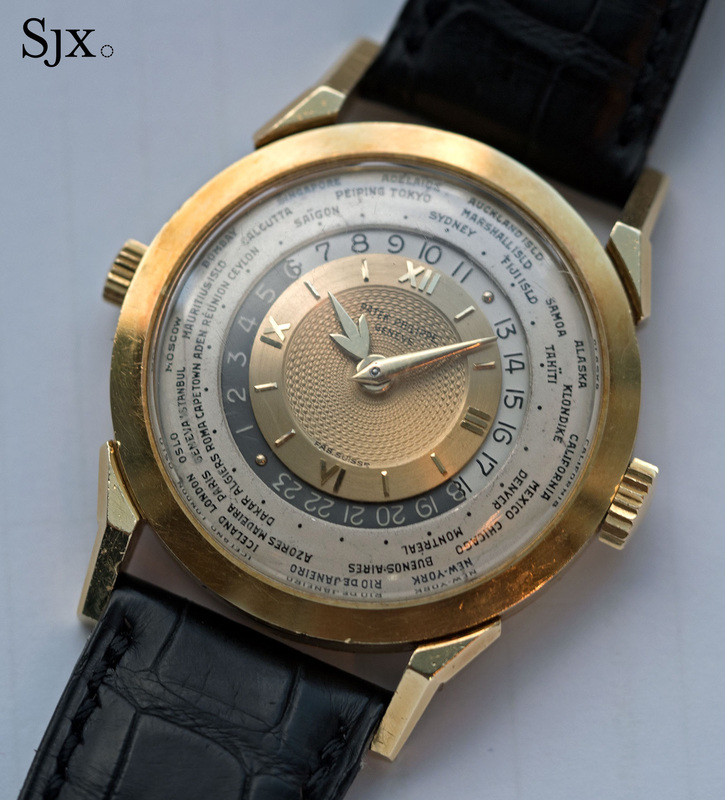 2523 with gold guilloche dial is lot 908 in The Hong Kong Watch Auction: Five.